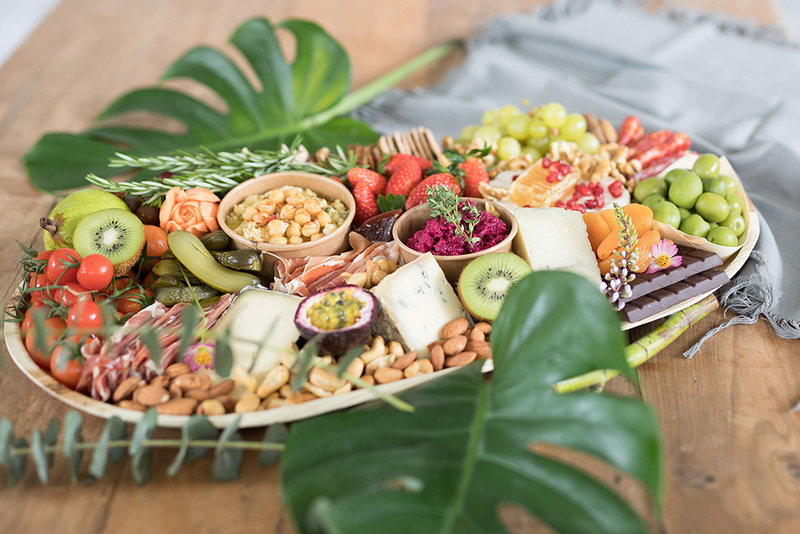 Impress and satisfy your guests with a beautiful Lush Platters creation overflowing with artisan cheese, charcuterie, fresh fruit, gourmet crackers, handmade dips, premium chocolate and thoughtfully paired accompaniments. 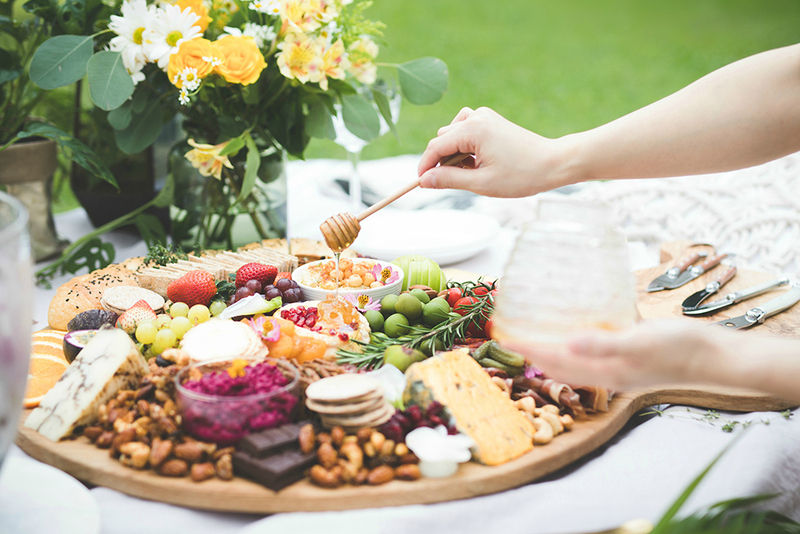 Our platters and boxes are perfect for entertaining at home, corporate functions, celebrations and social gatherings or even a chilled night in. In addition, our disposable and eco friendly options allow you to easily take your treats with you to any occasion or as a gift. Feel free to talk to us about customisation requirements and we will provide a quote accordingly (e.g. kid friendly, meat-free, gluten-free, vegan, halal meat, non-pork, cheese preferences, etc) or any queries you may have. Selections may vary depending on availability of products. While our serving portions are generous, they are intended to supplement a light meal. Delivery or collections hours 10am to 6.30pm. Delivery outside of these hours will be subject to a 10% overall surcharge. Please see our Terms and Conditions. Brimming with luscious produce, our signature wooden paddle boards (on loan) are designed for easy grazing. They are delivered to your door pre-assembled and ready to wow your guests. Selections may vary depending on availability of products. 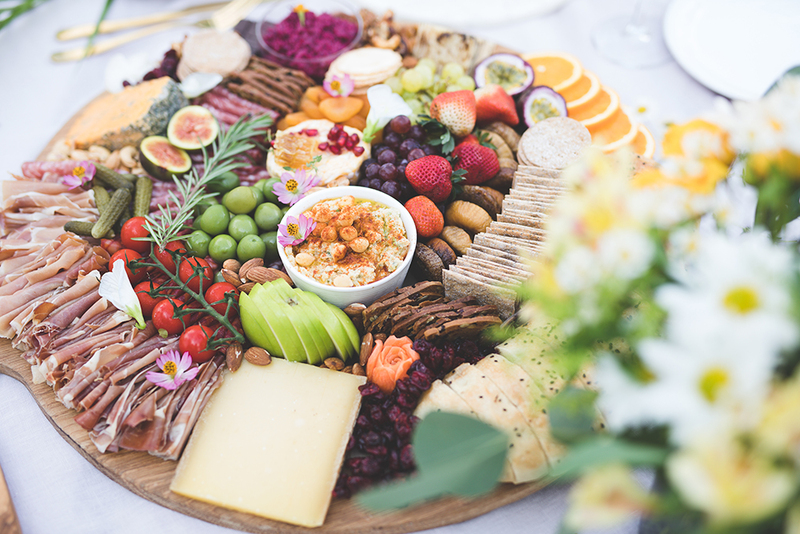 Choose from Cheese & Charcuterie Boards, Meat-Free Boards and Vegetarian Boards. Cheese knives are also available for hire, complimentary with our signature paddle boards. No set up included, delivery only (unless requested otherwise). Post event collection: Boards/bowls/knives are for hire only and must be returned within 48 hours. Collection of our wares is charged at $25 or you may return the items to our drop off point in Telok Kurau, Singapore. 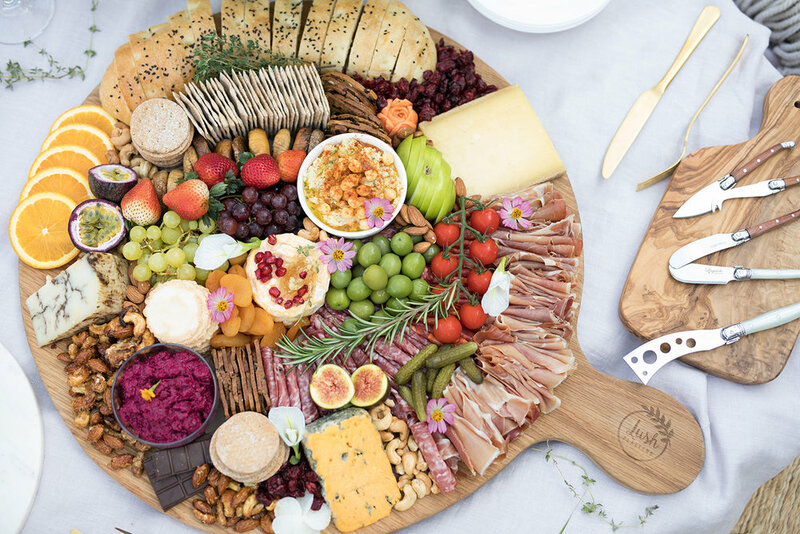 If you would like your platter presented on a different shaped board or spread out on multiple boards, please contact us for a quote. 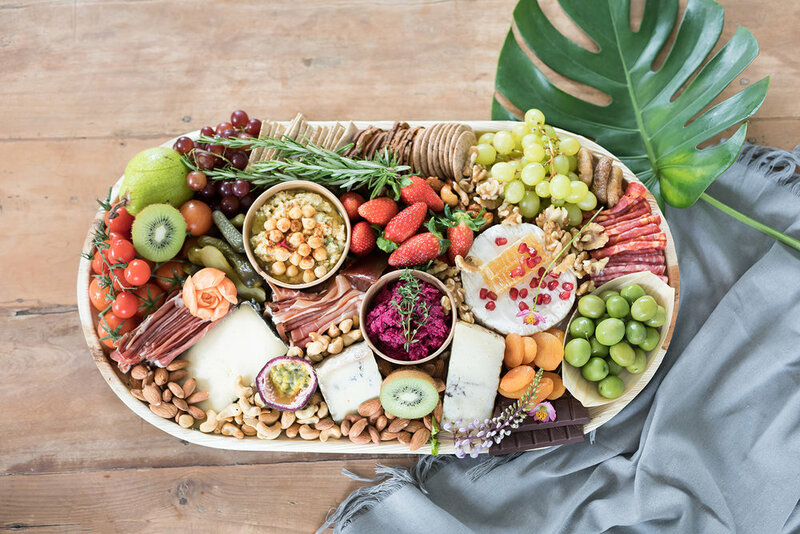 The perfect take along for your next event or a gift to delight any host, our platter boxes are stylish and oh so impressive. 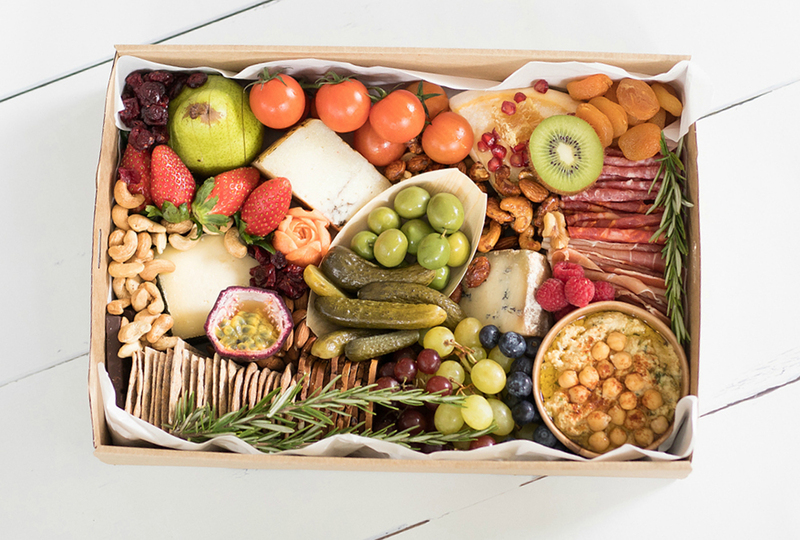 Delivered right to your door, our gourmet feast is beautifully packaged in environmentally friendly kraft paper boxes with a plant based clear window. Easily take one with you to your next picnic, dinner party or poolside BBQ. A beautiful, complimentary gift card is available on request. 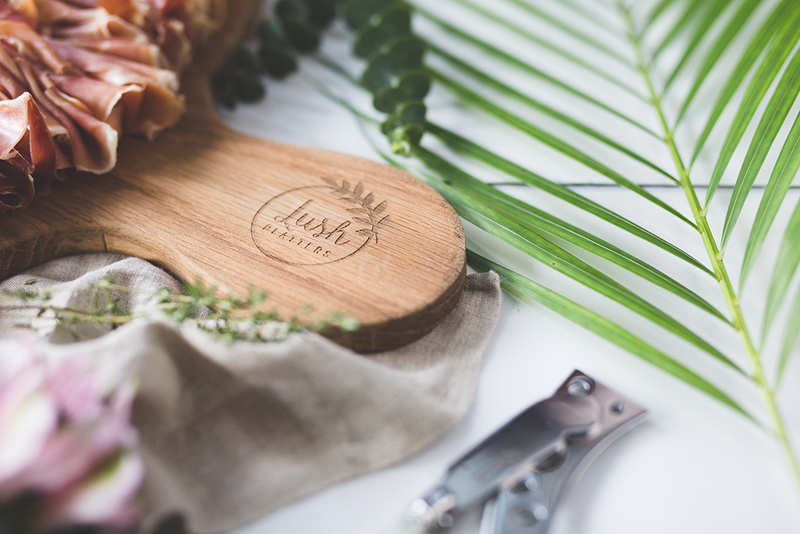 Entertain in eco-friendly style with our beautiful palm leaf platters. These biodegradable platters are a great gift giving option, delivered to your door. 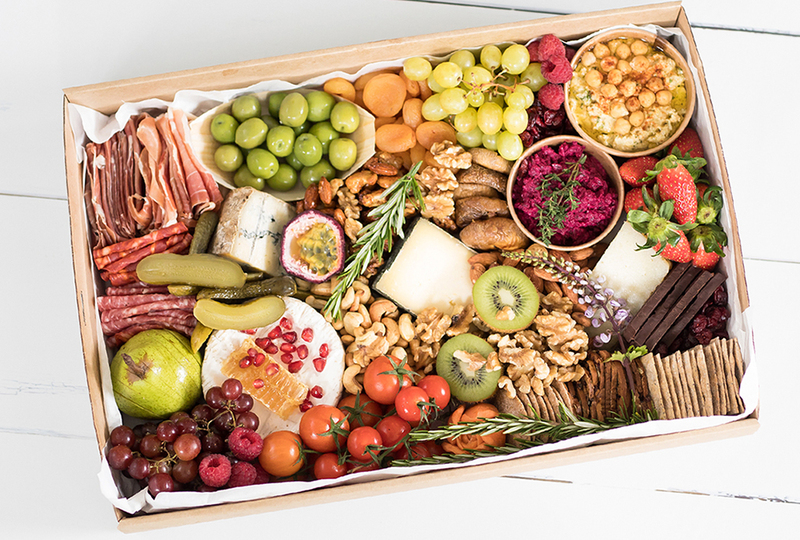 The ingredients are the same as our platters boxes, the only difference is the presentation. Popular with kids and adults alike, these delicious finger sandwiches are fresh, tasty and fuss-free. We use a mix of wholegrain, wholemeal and enriched white fresh bread. Sandwiches are presented in our eco-friendly boxes.